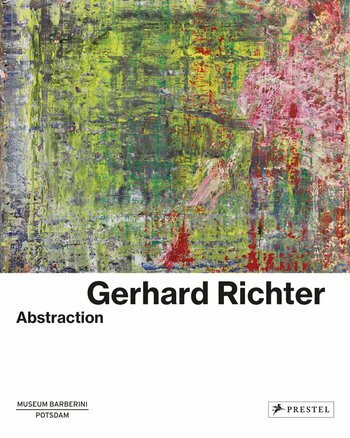 This publication is the first to focus solely on the abstract strategies and processes contained in Gerhard Richter’s body of work. In the early 1960s, the artist began to call painting into question, an exploration that continues to occupy him to this day. In the 1970s, he responded to the rejection of painting by creating a series of monochrome works in gray. Moreover, he viewed the color gray as a means of addressing political themes without depicting them in an idealized manner. In his Inpainting series of the 1970s, Richter made brushstrokes and the application of paint his subject. In other works, he photographed small details from his palette and transferred them onto large canvases in a photorealistic manner. In his color charts, he subjected painting to an objective process by leaving the arrangement of the colors to chance. Since 1976, Richter has created a series of abstract works by applying paint with a brush, scraper, and palette knife, alternating between conscious decision-making and random processes. Exhibition curated by DIETMAR ELGER and ORTRUD WESTHEIDER. Abonnieren Sie unsere Newsletter mit aktuellen Buchtipps, Leseproben und Gewinnspielen. www.kunst-zu-schenken.de präsentiert die schönsten Bildbände zu den Themen Kunst, Design, Fashion, Architektur, Garten und Wohnen aus den Verlagen Prestel, DVA und Manesse.